For the USC Board of Trustees, I ask that they consult with those who have been to a Nisei graduation ceremony before they render a final decision on whether to confer honorary degrees on all of their wartime Japanese American students, living and deceased. I believe anyone who has gone to these commencement ceremonies — from community colleges to four-year universities — would find the university’s decision to only grant degrees to the living is unfathomable. Collectively, as a staff, we at The Rafu Shimpo took it as a point of personal and professional pride to report on as many Nisei graduation ceremonies as possible, so I speak from experience. Honorary degrees are important not just to the students but also to their heirs, the children and grandchildren, who have been taught the value of education as a vital part of the Nisei legacy. For these children and grandchildren, these honorary degrees were moments of redemption and acknowledgement. Each degree received with gratitude and emotion that is celebratory and bittersweet. I would also add that an apology for refusing to release transcripts would be an official acknowledgement of a wound inflicted on students whose only guilt was their ethnic heritage: an important lesson for today’s student body in an era when young African American men are being gunned down for wearing a hoodie. The first Nisei college diploma I witnessed would, under USC’s provision, not have been given at all. It was a morning in Long Beach in September 2009, when the Cal State University Board of Trustees voted unanimously to confer degrees on the 250 Nisei students enrolled in the Cal State system back in 1942. Assemblymember Warren Furutani, author of AB 37, which awarded degrees to students in the state’s community college, Cal State and UC systems, was also in attendance. After the vote, Vivian Nelson accepted an honorary degree on behalf of her mother, Aiko Nishi Uwate, who passed away in 1998. Uwate was a music major at San Francisco State College, now San Francisco State University. After the signing of Executive Order 9066, Aiko was forced to leave school and join her family at the Gila River concentration camp. She was able to transfer to Capital University in 1946 to complete her education with a degree in biology. After their vote, the Cal State governing body gave a standing ovation, a tribute to the perseverance of all of the Nisei students. To separate the living from the dead in this manner seems arbitrary and USC stands alone in making this distinction. After all, last year when Congress awarded the Congressional Gold Medal to the Nisei units of World War II, there was no such separation among those who fought so honorably so many years ago. Two years ago at Santa Ana College, I spoke with Michi Miyada, who accepted a posthumous degree on behalf of her late husband, Charles Miyada, a member of the 442nd Regimental Combat Team and a Korean War veteran — another student who, under USC’s policy, would not be eligible for an honorary degree. Honorary alumni status is an honor certainly, but with the start of baseball season, it feels a bit like the Nisei who have passed on are being given an asterisk. This is certainly not to compare the Trojan students with Barry Bonds or others from baseball’s notorious asterisk era, but alumni status is a second-tier recognition. Lesser than an honorary degree — it is a footnote, an asterisk. Bonds may deserve an asterisk for taking steroids on his way to breaking the home-run record, the departed Nisei deserve no such downgrade. Certainly as USC gets ready for its commencement in May, now is the time for the leaders of the university to step up to the plate. This may be the last time this generation is honored this way — this could be the last ceremony that defines this Nisei graduation movement. Most of the other schools, including many private universities, have held their ceremonies already. The students and administrative staff at USC who have put energy into the ceremony will no doubt work to make this a great event. It’s simply time for USC to do what’s right. 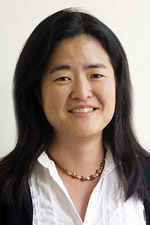 Gwen Muranaka is Rafu English editor-in-chief and may be contacted via email. Her mother, Julia Uriu, was a founding member of the Sigma Phi Omega sorority at USC. Ochazuke is a staff-written column. Opinions expressed are not necessarily those of The Rafu Shimpo. Can you please cite the primary source for your assertion that USC refused to release transcripts to interned Nisei? I have looked for the statements that USC President Rufus B. von KleinSmid supposedly made, but have not been able to locate any primary source material. What I have seen are records that USC did forward transcripts to the National Japanese American Student Relocation Council to aid students in transferring to Colleges and Universities outside of the exclusion zones, an apparent contradiction to your characterization of USC as working actively to prevent students from continuing their education.